Potty training is definitely the most challenging thing that I have ever had to deal with in my almost three years of being a mum. C screams bloody murder as soon as he is nappy free and always asks me to put another back on. He seems to be afraid of the potty and will push it away. 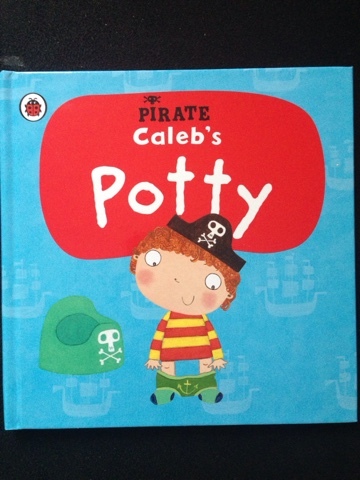 Penwizard offer potty training books that are personalised to your child which are from the Pirate Pete & Princess Polly range. 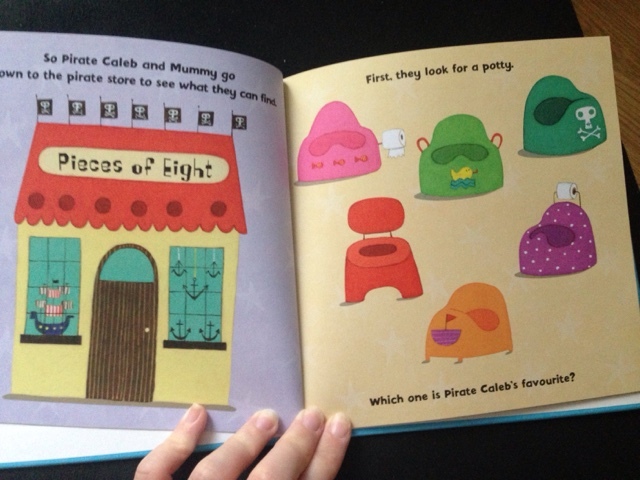 You can choose from Pirate, Princess or Prince. We received the Pirate one which is perfect for C as he is a big fan of them. There is an online creator where you can fill in personal details about your child such as gender, name, hair colour, skin colour, glasses and a personal message. You can even choose who will help them. I opted for Mummy as I'll be the one potty training C.
I was really excited for it to arrive as I hoped that it would get C more excited and less scared of using the toilet. This book is great for getting kids interested in potty training. The fact that they get to hear their own name is fab. C has recently become obsessed with saying his name so it was great timing. I love that the book starts with your child and mummy going to the shop to buy a potty and your child is even encouraged to interact with questions like, "Which potty is C's favourite?" The book goes through all the steps of potty training from sitting down and going to wiping and washing hands. 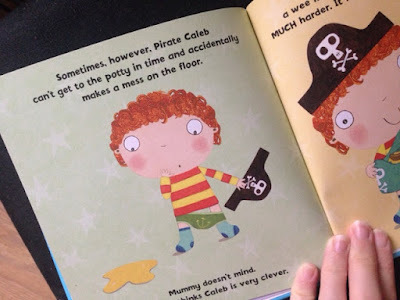 I especially loved that Pirate C did have an accident on the floor but Mummy didn't mind and still thought he was clever. This was a lovely addition and it will make C feel more reassured. The images are so bright and colourful and it really captures C's interest. He has yet been confident enough to use the potty but I think if we read this book every night we'll get there in no time. This hard backed book is 16 pages long and retails at £14.99. You can find out more at the Penwizard website or you can follow them on Facebook and Twitter. 3 comments on "Potty Training: Personalised Book from Penwizard"
I have to get one of those. We have the sticker book version of it. Same as Caleb Matthew hates having no nappy on and hates the potty. afraid of it too. He is not ready for a while. Dreading it. He'll be 3 in less than 2 months.